Hello Everyone! It's Barb and I am hosting the blog today! I can't believe that Valentine's Day is tomorrow! I have to tell you…. I was one excited girl when my box of NEW Quick Quotes Products arrived last week! They have a new line of paper called Baggage Claim! LOVE it!!! And did you know that they have 12 BRAND NEW COLORS of Powder Puff Chalking Ink?! Of course I had to tear right into it and start to play! I have been going through some of my older photos and found some of my daughter when she was just a baby! They were so fun and the new papers were just perfect for them! They may be travel themed but they can be used for so much more!!! Don't you love these new papers?! The khaki zigzag pattern is one of my favorites from Quick Quotes! I love the mix of papers and colors in the Baggage Claim Line! The khaki, red and blues look great together! I also pulled out some of Quick Quotes Halloween Papers (black polka dot) and Sea Breeze Paper (solid blue) to layer on this layout. Khaki is of the new colors of PowderPuff Chalking Inks that Quick Quotes has released!! LOVE this color! 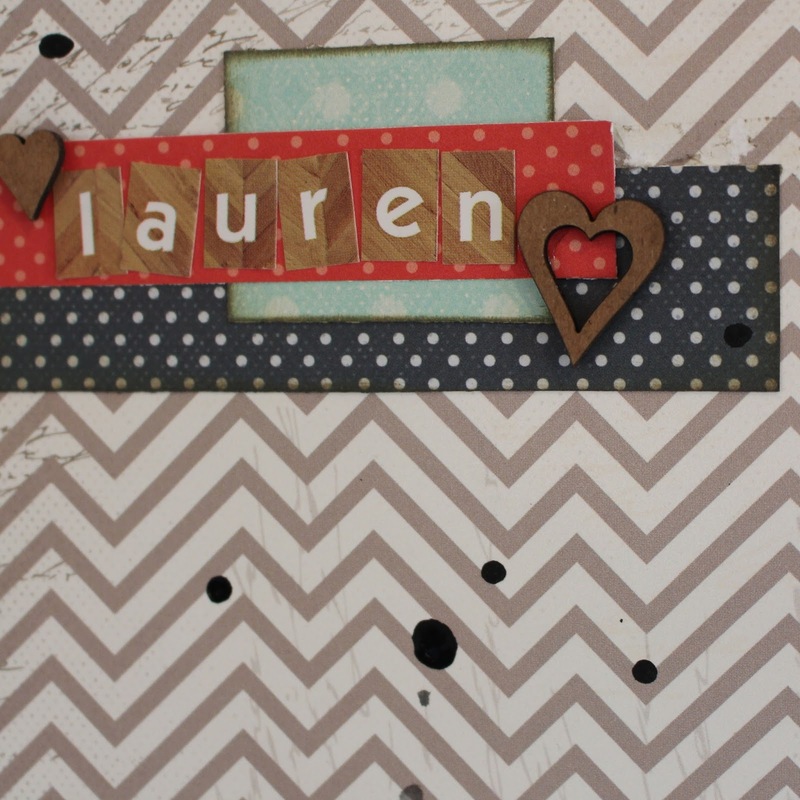 It is the ink that I used around the blue and black patterned papers. I am sure I will be using that one a lot!! These new products are now available in the Quick Quotes Store! 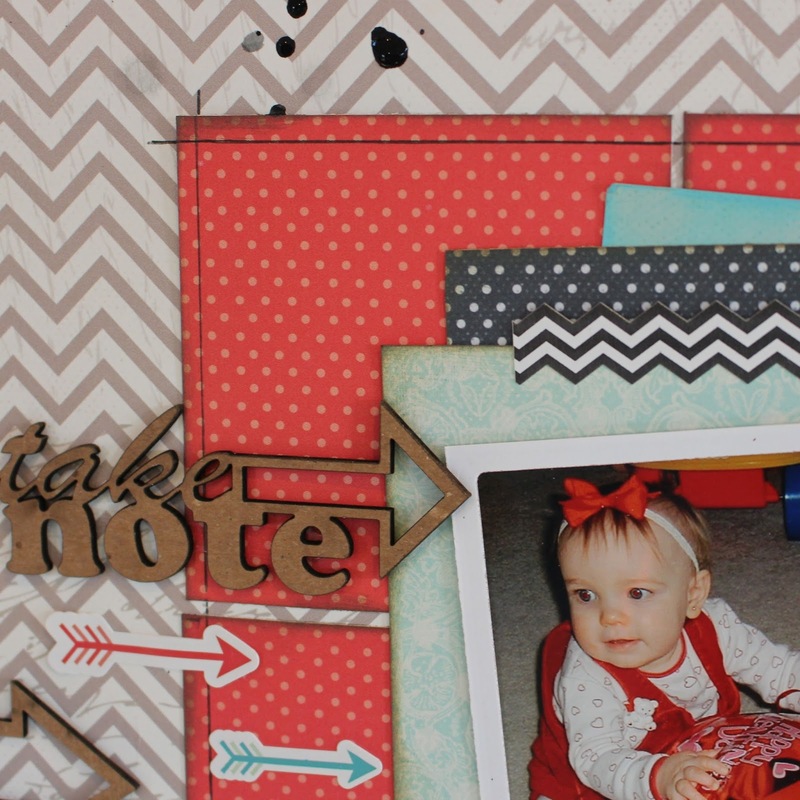 What a sweet baby and an very nice layout! Can I just say that I adore this? It is just so...fresh! Love all the little details...the colors are wonderful together.